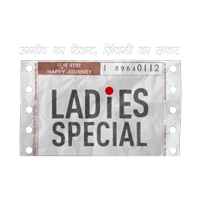 Ladies Special brings forth the journey of three starkly different personalities, belonging to different socio-economic backgrounds, who happen to meet each other on a Ladies Special local train. With an engaging narrative that weaves three stories of hope, friendship, aspiration and womanhood, the show will redefine the audience's outlook towards life. The stories and characters are rooted in the reality of middle class life in Urban India and so are their aspirations and anxieties.